This way kind of a neat project we did. 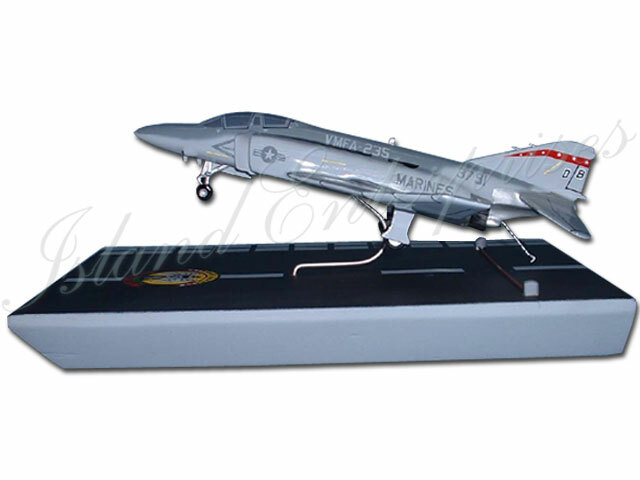 An old Navy F-4 maintenance guy wanted a 6" F-4 on a base that looked like a Carrier deck, catching the wire. Customized the aircraft with any paint scheme and markings you want. And you can customize the base any way you want as well.